It is not a secret that people have their own idea about what surrounds them. Therefore it is quite natural that some stereotypes about different countries and nations appear. Someone takes them seriously, for others stereotypes have no importance. Having visited some countries I was surprised to hear that almost in every of them people have the same stereotypes about Ukrainian people. When they heard me say I am from Ukraine they immediately said something like “Oh, is it somewhere in Russia?”, or “How did you manage to survive after Chernobyl disaster? Is there still high radiation rate in Ukraine?” Nowadays people know more about Ukraine because of the war in the eastern part of our country and, of course everyone admires Ukrainian girls’ beauty. So, let us look closer at 5 main stereotypes about Ukrainian people, which I have found out. STEREOTYPE #1. 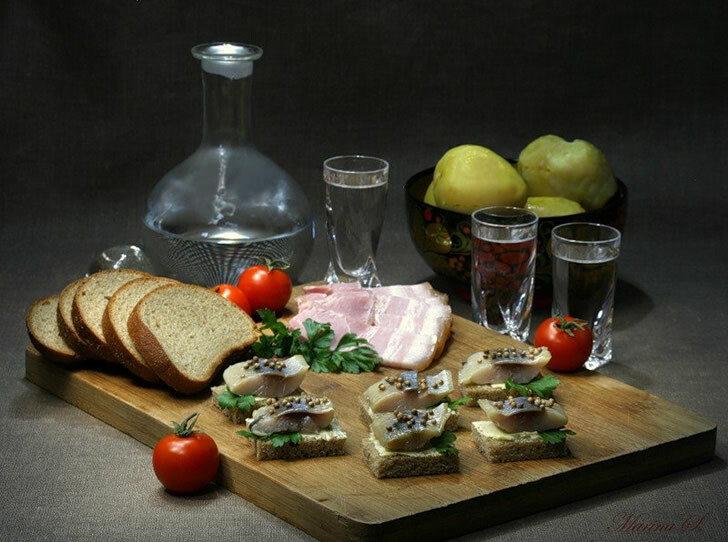 All Ukrainian people adore salo (lard). Everyone thinks that we have it for every meal of the day. Why is it so? This stereotype appeared because Ukrainian population was mainly rural and almost every family had not only a cow, but also some pigs. While a cow fed the family with milk, pigs were fed to be killed and sold. The best meat was very expensive and only wealthy people could afford to buy it, but the meat of lower quality, as well as lard, was left in the family to eat. Another version tells that at the time of Tatar-Mongol invasion, the only meat which was not taken from the peasants was pork, as Muslims don’t eat it. So, Ukrainians had no other choice but eat pork meat and lard not to starve to death. Nowadays we do eat salo, but it is not the main dish of the day. STEREOTYPE #2. Ukrainian people drink a lot of alcohol. I would not say that this statement is 100% true. There are many nations, which like drinking a lot of beer and wine, however, when I hear that Ukrainians drink lots of vodka (horilka) on any occasion, I try to explain that the situation is a bit different. I admit that it is like a tradition to drink some alcohol when we meet our friends, when we celebrate something or when something not very good happens, but… we do not drink ourselves to death. STEREOTYPE #3. 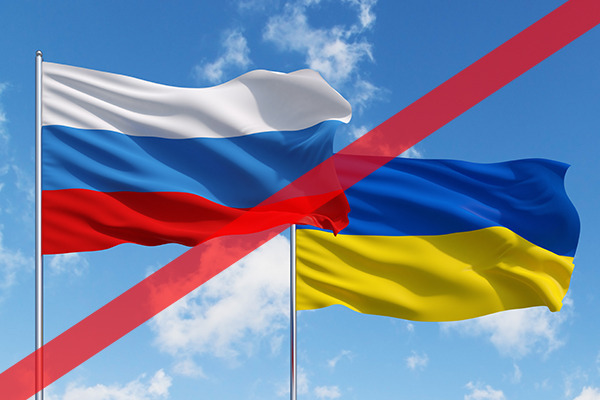 Ukraine is a part of Russia. Thanks to the latest political events people start to forget about this nonsense, but for many years everyone used to think that USSR was the same as Russia and, of course, Ukraine was its part. So, I was not even surprised when I heard that there were bears walking in our streets wearing fur hats and that winter in Ukraine is very cold. As you can understand, we have no bears in the streets and, especially nowadays, winters in Ukraine are not cold, they are actually warm and even rainy. STEREOTYPE #4. Ukrainian and Russian languages are alike. Frankly speaking, these two languages spoken by Ukrainian people may seem to be alike. However, if you look at them in detail, you will see that there is more than 60 per cent difference between them. And even Ukrainians, who speak Russian as their first language, do not always understand those, who speak Ukrainian, and vice versa. STEREOTYPE #5. Ukrainian women are among the most beautiful women of the world. This is what I absolutely agree with. Slavic women have always been not only beautiful, but also wise and strong. That is because endless wars made them like men. While their husbands were away at wars, Ukrainian women had to care for the house and the children as well as work and provide for the family. Many of Ukrainian girls even had to go to war too. But in spite of this natural strength, they are still girls who need care and support from a strong man. Which of these five stereotypes about Ukrainian people have you heard? Can you add any of yours?